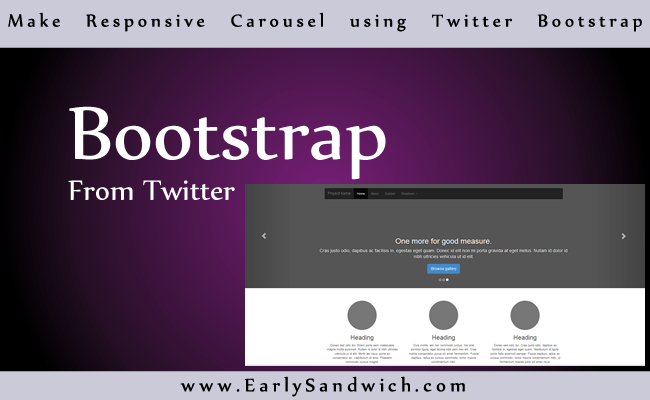 We will learn how to create a Simple Responsive Carousel using the Twitter Bootstrap Framework. The Carousels also known as slide shows are useful to show new or highlighted content on top of the page. It can show lot of images/headlines while consuming less space on a web page. Carousels made with Bootstrap are responsive which means they can adapts the layout to the viewing environment providing easy reading and navigation across a wide range of devices such as desktop computers, tables or mobile phones. Now we are going to create Responsive Carousel using Twitter Bootstrap. Include the below code in <head></head> section of webpage. Carousel needs jQuery to function properly, which has been included in below code. Carousel code includes indicators, wrappers for slides and controls.